Several discounted their games and donated proceeds to the ACLU. The opposition to the Trump administration's immigration ban has spread far and wide. Video game developers are joining the chorus against what some see as an unconstitutional policy put forth with no thought or consideration of the outcome. For a number of studios, that means making donations to the American Civil Liberties Union (ACLU), the non-profit organization that successfully challenged the ban in court over this past weekend. 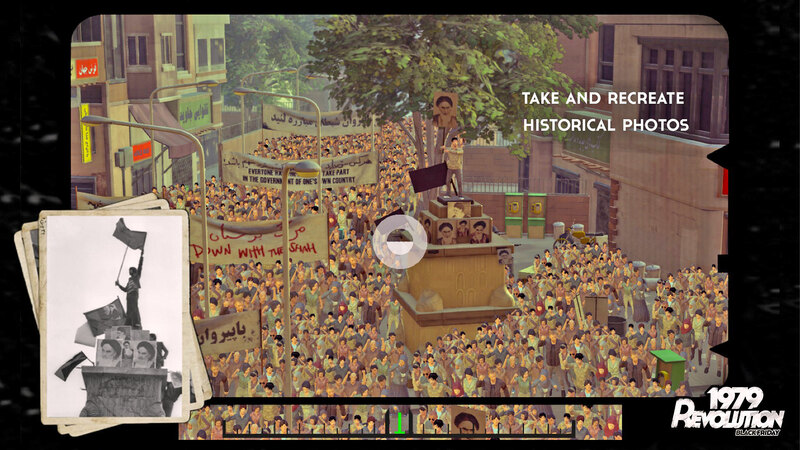 iNK Stories, the studio behind one of our favorite games from last year, 1979 Revolution, has announced it will donate sales sales proceeds to the ACLU. That's for purchases made between February 1st and the 10th. "While it's easy to be immobilized by hurt and hopelessness, I believe that now more than ever we are confronted with an obligation, where we must dig in, resist and unite," 1979 creator Navid Khonsari said in a statement. As Mashable points out, Khonsari isn't alone. On Saturay, developer Vlambeer's Rami Ismail (Ridiculous Fishing, Super Crate Box) tweeted that for 24 hours, all revenue would be donated to the ACLU. In an op-ed for The Guardian, Ismail wrote that thanks to this executive order, many Muslims who spent years of their savings to make the trip to the Game Developers Conference in San Francisco would no longer be able to attend. "Even if they'd be allowed into the US, many are afraid of anti-Muslim sentiment from a population that can elect a president like Donald Trump, especially in the country with the highest homicide rate with guns in the Western world," he said. Dain Saint of developer Cipher Prime (Duet, Auditorium) penned a blog post on Medium advising people to be selfish -- but in a way that benefits others. For America, Saint said to make the country's future "the brightest it can be by stealing the best and brightest from every country on the planet." He further said to steal the best minds from other nations. "Lure them in with the promise of freedom, and keep them here with high-paying jobs." "Everyone welcome. We welcome players from all over the world. Please join us in standing up for civil rights." Below that was a link to the ACLU's donation page. CNN reported that as of Monday, January 30th that the ACLU racked up $24.1 million in donations over the weekend -- some 600 percent more than the organization gets in an average year. It's important to note that actors and musicians were also imploring their social media followings to donate to the ACLU as well. Over the weekend, there was also a "NerdWalk" from the PAX South convention to the offices of Texas Senator John Cornyn, Ars Technica reported. Of the two reasons for the march, one was the immigration ban. The other was the dismantling of the Affordable Care Act. The organizer, Cards Against Humanity's self-described "businesswoman," Trin Garritano, said that storming the office to have the senator sign a bill wasn't the goal. "That was never the idea, it was just to show solidarity," she said. Over the weekend, Insomniac Games' CEO Ted Price joined the masses of tech companies railing against the immigration ban. The Entertainment Software Association (the governing body responsible for the Electronics Entertainment Expo, or E3 for short) also spoke out, asking the White House to "exercise caution with regard to vital immigration and foreign worker programs."